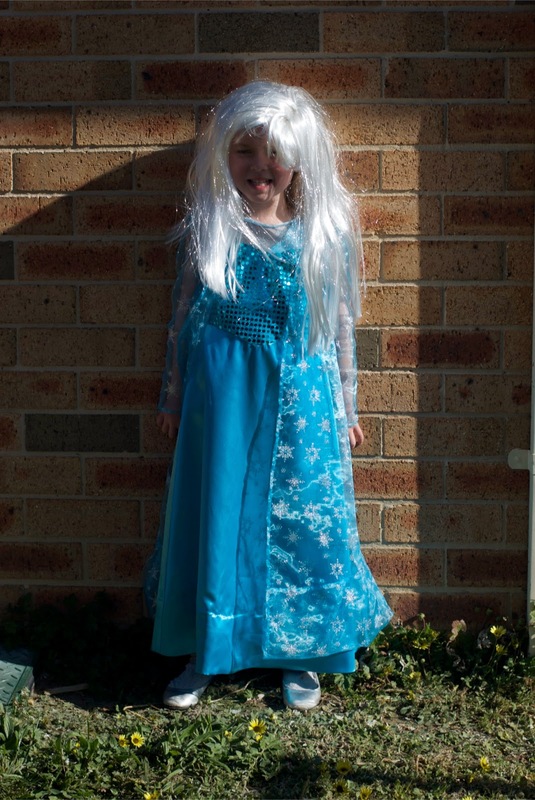 Emma had a 'Frozen'-themed birthday party this year and wanted a Queen Elsa dress. I haven't seen the movie but I found a McCall's pattern that fitted the bill. Emma was quite pleased with the result. 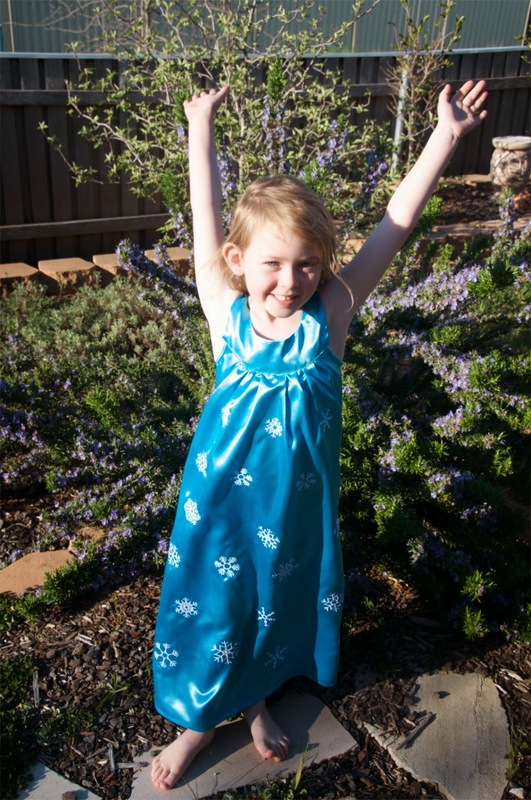 I also made Emma some satin nightdresses (silkies), which led me to think about what Queen Elsa would wear to bed. This is what I came up with. I haven't even heard of the movie but you obviously did the right thing. Emma certainly looks happy.